I'm still adamant that it would've been way more fun if they themed it around air vehicles only since, well, it's Skylands. Would've had more room for gameplay variation with just one style of movement, too. Maybe it would be more fun. But then Acti wouldn’t get the same money than having kart racing. People praise the Portal Master Powers but I honestly hated then. All they did was make an easy game easier. I never had fun messing with them and the option for them popping up when you leveled up was annoying. My gripes with it making the gameplay even easier and being distracting with the extra effects they add to attacks could easily have been avoided with the option to turn them off, but that was never there. The only good part was path switching... and really? Praise the whole system for that? Proper onfoot combat in SC was rare enough. Then they muddle up strong core mechanics esablished in SF with not only that and the boring design of what combat segments are there but these effects that can do things like freeze enemies and often ruin the satisfaction of going through fights yourself. If I wanted freezing I would pick Slam Bam, not Wham-Shell. If I wanted a skull to fight with me I would pick Hex, not Chop Chop. There's some novelty to randomness but give me the option to turn it off thanks. Those powers didn't add to the gameplay, they intruded on it. And it's not like Skylanders is something that ever needs frame-perfect inputs or perfect consistency or **** like that but the powers changed the gameplay enough that they aren't just a background thing like crits and you can't really ignore it, love 'em or (like me) hate 'em. They're a gimmick and absolutely annoying when you want more traditional onfoot or are just trying to enjoy the little that is there. Bifrost is also right every element shouldn't have terrain because it gets immersion breaking; give one to every element and they just become a second form of elemental gate. They become less cool because you see them much more often probably for more arbitrary reasons, and it's more obvious that they're there rather than them serving as cool touches to the world. It should be things like Light Skylanders wouldn't be affected by the darkness in Cadaverous Crypt rather than Light Skylanders can form bridges of light or something. I'm for bringing this stuff back, obviously, but there are points it becomes tryhard and too obvious rather than being a cool bonus and adding to the world. When everyone's special, no-one will be. I had a showerthought about the Skylanders franchise, and I wanted to see if what I thought of makes sense to some of you. So I think everyone here knows that Skylanders Trap Team was the start of the decline of the franchise, but what I wonder is what happened after Swap Force and before Trap Team released to cause approximately 2 million people to get switched off from the franchise. A 2 million drop in sales doesn't happen without something to cause it. So I ask all of you who are way more aware of what transpired, what do you think happened during the aftermath of Swap Force and the lead up to Trap Team to cause the drop? So I think everyone here knows that Skylanders Trap Team was the start of the decline of the franchise, but what I wonder is what happened after Swap Force and before Trap Team released to cause approximately 2 million people to get switched off from the franchise. A 2 million drop in sales doesn't happen without something to cause it. So I ask all of you who are way more aware of what transpired, what happened during the aftermath of Swap Force and the lead up to Trap Team to cause the drop? I think it might have been that TT just had way to much to buy and it turned people off. SF sold very well got the best reviews in the series, SF introduces a lot of great additions that were lost in TT. TT was great, but it felt very much like a Giants 2.0 in many ways. Graphics were very good, but yet it lacked that organicness that SF had, combat was pretty good, but it lost the wonderful knock mechanics that made SF so solid. TT also lost a lot of the bonus content that SF had, from bonus missions, to check points (and it also had shorter levels, which can go by pretty quick) and even Skylander Quests that were in Giants and SF, TT's bonus playable content were very similar to each other, whether you admit it or not, they played nearly the same. Both involved being in an small/ish arena fighting enemies. TT also ditched Battle Mode which a lot of fans were disappointed in seeing gone. I had a feeling it was the amount of figures/stuff to buy. I think I remember people complaining about that with Swap Force, but it came into full effect with Trap Team. In my personal opinion I believe it to be the amount of figures you had to buy. With Trap Team, not only did you have to buy at least one trap of every element but now every one of your existing skylanders was rendered useless due to the introduction of traptanium gates which forced you to buy premium, more expensive figures if you wished to gain access to the hidden areas. I believe it was the introduction of extra figures aswell as the normal character figures that caused the downfall of the franchise. 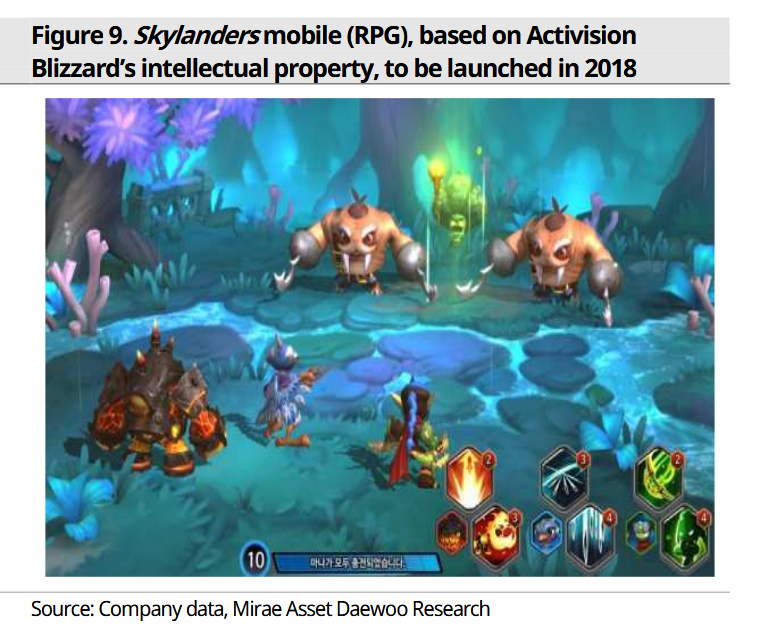 This is why I believe if Activision wants to keep the skylanders franchise alive I think they need to keep things simple. No extra figures to purchase, just regular character figures. Erm, HIHD, I know I'm saying this as someone who finds SF really ugly but I doubt the graphic changes turned many people off. There was debate about it and a fair amount of people that preferred each (it's pretty obvious where I stand, and nowadays I think people generally prefer how SF looks but it definitely isn't overwhelming in either direction and was definitely close back then) but I never saw anyone say they wouldn't buy it because of the aesthetic changes. Hell if anything I think a lot of people missed TFB's style after SF, and the aesthetics were a big part of that, so going back may have had more positive impact. I don't know about now because nobody talks about the aesthetics of this series anymore, but were definitely a larger percentage of people who disliked SF's look than TT's look at the time. I had another ramble about how I preferred TFB's aesthetics from SA-TT a ****ton but I don't trust myself to be making a decent judgement so **** it, it's not worth it. But I will say SF looks far uglier than most people probably remember it to and SA is obviously the best aesthetically. (**** how "dated" the models are, SA does and will continue hold up as the most pleasing to look at, I know I'm biased since it's my favorite entry but the others just don't hold a candle to all the deliberate, gorgeous and memorable work there.) Outside of SC, the only time I think one of VV's console games looked any good, the modern engine tries to be clean for the sake of graphical impressiveness too often. Heading into that direction was also another nail in the coffin of the dungeon crawler feel the series had in the first game, and frankly should have stuck with, to something much more cartoony and standard. Alas, I'm ranting about this when I miss games having many more deliberate textures over engine lighting, and VV's engine and work in general is heavily lighting-based. It can still do good work with deliberate touches... but so far I've only seen that in SC. Even that is more cartoony than, as you say, organic. SA is organic yet colorful, SC is just colorful, compare the saturation of each and one clearly fits "organic" better. I know I'm nitpicking at words but dude VV's aesthetics are way more cartoony than you credit them for, even in SC. I guess I dislike it because that's not where I want Skylanders to be. We have so much cartoony **** already. No matter how good it is, I really don't think it's the best fit and it sure is blander. You know, it's a shame Clutch was somehow a worse artbook than Strata as there's really a world of difference between SC and every other one of VV's works, and I wish we knew more about why. I mean, there's Battlecast too although iirc Hearthstone artists did the art for that instead. If VV did most of Battlecast's art I'd be pleasantly surprised and yet further disappointed about how bad Crash looks. ... I'm sorry for all the edits, I just have nothing to do tonight. Taking a day off art and **** battle tree hax. Until I fully wake up (and take my attention away from Total War: Warhammer), I'm going to go with the simple "rule of 3". There were three games, 2 million people got tired after three, and dropped it. That was my experience, on top of it just not looking very interesting, its only saving grace at the time was Snap Shot because he's a lizard boi. Other reasons for me that aren't exclusive to that game are pricing, not knowing what content there was, not knowing how much replay value there was, not knowing compatibility and so fourth, things that I still criticise the latest games for including Lego Dimensions' additional content packs. Amiibo. People didn’t want to invest in more than one TTL product. That's interesting you feel that way Drawdler. Granted I haven't played the games, but based on the models of the Skylanders, they feel/look like they came out of a cartoon. Maybe the worlds/levels are different, but man, the Skylanders themselves look cartoony as hell. The fact that V.V. makes more cartoony-based graphics makes me kinda hopeful for the Spyro remakes because those games were praised for their cartoony graphics back in the day. Well, I was using the word "terrain" loosely. I really meant any kind of aspect in the environment that favors a certain element, which would include the idea of Light skylanders illuminating dark places. mmh I'm bad at explaining aesthetics but I'll try JCW. 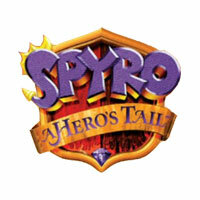 a simple comparison is Spyro in the first game to Spyro in SF. More detailed textures, more monstrous nose, less flat lighting, teeth a lot more visible; he strikes you as more monstrous in the original rather than purely cartoon dragon as in SF-onwards. Still exaggerated and cartoony, yes, but he has a touch of something more mature that you really can see- and that kind of feel applies to the first game in general. It's those little details that added up and, while I can agree Skylanders originally had cartoonishness to it and the designs work in something more cartoony (hell, Lightning Rod actually looks better that way), that kind of subtle touch in its environments and detail in the work made it feel at least a lot less generic cartoony and gave it an edge over what it turned into. and again, compare coloring in the first games to VV's ventures and you can notice massive differences, the first game is colorful didn't rely on lots of obvious saturation and thus doesn't strike you as being as safe and kiddy. Look at the rocks and they still sort of look like rocks rather than the flatter cartoon rocks that came later. then they tried detail in N. Sane and fell flat on their faces because it clashed so hard with the zany style the animations are going for; mixing weirdly realistic features with a really wacky mood, set of colors, and other details that are more simplified, yet also lacking a lot of the more stylised mood lighting that VV actually did well in SC and that was a major factor of the original Crash titles... They couldn't pick between detail and simplification there, they failed to make something pleasing with how many uncanny touches they added and how they missed the point of the older designs. I really have to go after this edit, but watch B-Mask's video on the game and he explains a lot of the aesthetic problems and dissonance it suffered from, which is a shame as I think they could have well or at least better with it if they stuck closer to their initial Skylanders style. Very interesting thoughts Drawdler, and I see where your coming from/the general gist. I like my platformers to be colorful (that's what drew me into Spyro in 1999/2000), and looking at the levels in Skylanders' games, I like VV's vivid colors, but I also like TFB's texturing as well. Drawdler, in your opinion, do you think VV will do justice to the levels in the Spyro remakes? The original games were more about lighting and color choice rather than texturing (although that could be a product of the PS1's limitations at the time), and that seems to be VV's forte. Also some of their skies remind me of classic Spyro's skies. I like N. Sane Trilogy's graphics, and weirdly I think pre-release people's complaints were mostly with lighting. I'm sure some people complained about the textures, but the main complaint was with lighting, which VV mostly fixed given the limited time they had. Thanks. Sorry if I sound like I'm coming across as angry, I will admit in ways I am and I'm having a ****ty time and home and I'm biased against VV but hey I try to think objectively. Even if my emotions lead me to what I'm actually interested in analysing. Not really honestly. I can't tell what I expect from them aside from the same sort of weird uncanny updates to some **** as they did in the N. Sane Trilogy (I can easily see gnorcs being botched), but I don't think they'll pull something nice off. Even putting aside the problems I have with them and what I think of their past projects, Spyro is a biiiiiig project and a lot more to do than N. Sane, and as I've said I don't think they even got that right when they seem much more passionate about Crash than Spyro. A lot of things in N. Sane were clearly rushed in that they couldn't get fundamentals in them right; Spyro seems it probably would have more dev time and possibly manpower, but that doesn't mean it won't also be rushed. Even Crash got a lot of colors wrong, the ones in Turtle Woods are really bad with how the bushes weirdly stand out so much more than anything there, even the mushrooms which should be a standout color. And plaguing at least the first two games (I didn't see or play that much of Warped, but it didn't seem to have this issue) Crash bled into the background terribly at times (not enough it impeded on gameplay, at least, still enough if you pay attention to the visuals it was pretty bad- it's baffling this even happened with 1 since it appears to have more consistently good than bad aesthetics as opposed to the other two, and it's something so stupidly obvious and should have been easy to fix for whoever worked on the colors). I also know I'm bad at making anything aesthetically nice myself but, well, it's not so much "VV didn't get everything perfect" with the N. Sane Trilogy as "WOW, THEY GOT SOME FUNDAMENTAL STUFF REALLY WRONG". I think that falls more on Acti pushing it out/not caring to give them more time but in the end it's still something the trilogy very much suffers from and what I saw prerelease and certain touches in N. Sane gives me the feeling VV didn't completely get the decisions behind the original Crash games' visuals. While the original Spyro games don't have as many deliberate intentional aesthetics as Crash, for example less mood lighting, I don't think VV will recapture what was there nor (given N. Sane) make them look good in a new style. All-in-all I think the problems with N. Sane fell on a short dev time more than VV but they absolutely did make mistakes you can't just attribute to rushed time. I guess I'm just ragging on N. Sane now but it had such a strong thing to remake and just botched it. I'm not even against changing it or hate it because it's worse- I think Ratchet & Clank 2016 was different and not quite as memorable aesthetically as the original but it was a damn good take on it that, say it with me now, consistently looked good, got down fundamentals and stuck to a solid style. It's not like N. Sane where weird details were added and made it ugly or it has problems with pretty basic parts of art. I know I sound like I'm nitpicking but Vicarious has professional people who should be able to put these things in practice rather than just analyse it like amateur me. That they couldn't with Crash is a bad sign for the Spyro remakes, I think, especially since Crash was somehow visually a massive step down from SC. I thought they learned with SC but, while I guess they were trying to be more experimental so it's understandable to take some steps back, they then made massive mistakes with Crash. Not really honestly. I can't tell what I expect from them aside from the same sort of weird uncanny updates to some **** as they did in the N. Sane Trilogy (I can easily see gnorcs being botched), but I don't think they'll pull something nice off. Even putting aside the problems I have with them and what I think of their past projects, Spyro is a biiiiiig project and a lot more to do than N. Sane, and as I've said I don't think they even got that right when they seem much more passionate about Crash than Spyro. A lot of things in N. Sane were clearly rushed in that they couldn't get fundamentals in them right; Spyro seems it probably would have more dev time and possibly manpower, but that doesn't mean it won't also be rushed. Even Crash got a lot of colors wrong, the ones in Turtle Woods are really bad with how the bushes weirdly stand out so much more than anything there, even the mushrooms which should be a standout color. I also know I'm bad at making anything aesthetically nice myself but, well, it's not so much "VV didn't get everything perfect" with the N. Sane Trilogy as "WOW, THEY GOT SOME FUNDAMENTAL STUFF REALLY WRONG". I think that falls on Acti pushing it out/not caring to give them more time but in the end it's still something the trilogy very much suffers from and what I saw prerelease and certain touches in N. Sane gives me the feeling VV didn't completely get the decisions behind the original Crash games. I don't have an article, but looking around on forum posts and such, is seems like VV were misconstrued. They didn't say they hate Spyro, but they were unfamiliar with his gameplay in the original trilogy. I'm pretty sure that for the remakes they played them and became familiar, and hell, maybe they'll say that they had a lot of fun with them after the remake is announced. Oh, I didn't think they hated it or mean to say that, sorry it came across that way. That's about what I thought, but it still is a bad sign to me. And as I've said I'm sure they'll do their research but it isn't a replacement for passion and they had passion for Crash. The next page also says that someone else says that VV said that they aren't doing remakes/remasters though so... that source is wrong, at least... however, while SkyFan has reported rumors as being from reliable sources (which were just his friends) in the past, I don't think this is BS. If nothing else, because I can see VV being much more interested in Crash. Also, sorry that I forgot to reply earlier Muffin Man, but I can agree with that a lot more. I still think with Tech especially it could end up as reaching for ideas, but it could be cool if they could fit in something on the level of the light thing for every element, depending on execution. So with TRU going under, I wonder if it affects even the thought process of another entry. Sad news, the last tru large physical toy store going out of business. IF SkyLanders makes a return, they'll have to choose a new venue for the Legendary figures (IF those come back). I reckon they'll need a new venue for all figures. TRU shutting down is going to be a major blow for fans and newcomers in terms of how accessible their toys are, unless they shop online. Even then I think that takes out a lot of the fun from TTL, even for me as an adult. Where countries are folks from, and what major toy stores/stores that stock Toys-to-Life do you have? In the UK we're really down to Smyths now, with some supermarkets having a bit of a toy section depending on their size (Morrison's and Asda, mainly). In Australia you might find some in a BigW chain store but only the dregs. Target may have a really small section of toys that nobody wants (think Dive Clops SSC). EB Games (Australian version of Gamestop) no longer stock them but still have trade in bins of over priced and often broken Skylanders. The other stores that used to sell them got out of them some time ago. Where I'm from, it's basically down to Target if Skylanders comes back. The Walmarts around me barely supported Skylanders Imaginators and the Gamestops were even worse. (Although to be honest, none of this really affects me now that I live in Korea, since Skylanders was never released here and there's a good chance I might be the only person in my city, if not all of Korea, who even has a Skylanders collection in his home). the word you're looking for is "near death"
Unless IPs have an expiration date of less than 70 years, you need to stop saying bull. Any game owned by any copyright holder can be revived as long as they care about it, unless by some crazy happening it's associated with controversy. Skylanders, Spyro, etc can't die in this generation, even if it might as well be dead to us. same for me in southern New Hampshire USA...Wal-Mart has slowly gotten worse since Trap Team, Gamestop almost as bad....Target still has some last I checked. Those are my only options besides online for TTL figures, nearest Best Buy & TRU are an hour or so away & I can't drive. I've even had to import a fair amount of amiibo & Skylanders because they're so scarce in my area. after looking at it, seems like target and best buy are literally my only options for figures anymore. TRU is dead, and walmart/gamestop don't give a **** anymore. Steel Plated Hood Sickle in game looks amazing, no idea how they ruined so badly simple greenish metallic paint. Then again, they made it actually green instead of silver. apparently, there's gonna be skyanders cameos in Ready Player One. Gill Grunt, Drobot, Torch, and Blaster Tron all make appearances. I’m stupidly happy to hear about this! Especially because they choose to not use the most famous ones (except for maybe Gill Grunt). Guess Spyro and Crash could still be there in their classic looks, but it’s great how this series got to be in that movie along with pop-culture icons such as the Iron Giant or the DeLorean from Back to the Future. MY WIG HAS BEEN SNATCHED. There's a Skylanders RPG discussion st the mobile section. Yeah, but it’s still nice to have them on the big screen, even if just briefly. I guess Skylanders does have credits for being experimental in the ways it ties both toys and videogames together, but it arguably had less impact on popular culture compared to games such as Undertale or Overwatch (each one for fairly different reasons) which are featured in the movie as well. Really curious to see if they stuck with a cartoony style or aimed at a slightly more “realistic” look. ****** now I have to see that film! well, torch is the only obscure one there, though she got marketed plenty during TT. Wait, Spotlight is in the movie too? I'm apparently too old for that reference. I get that they're from Spongebob, but beyond that... ??? Krusty Krad is a well loved, successful restaurant with great food. 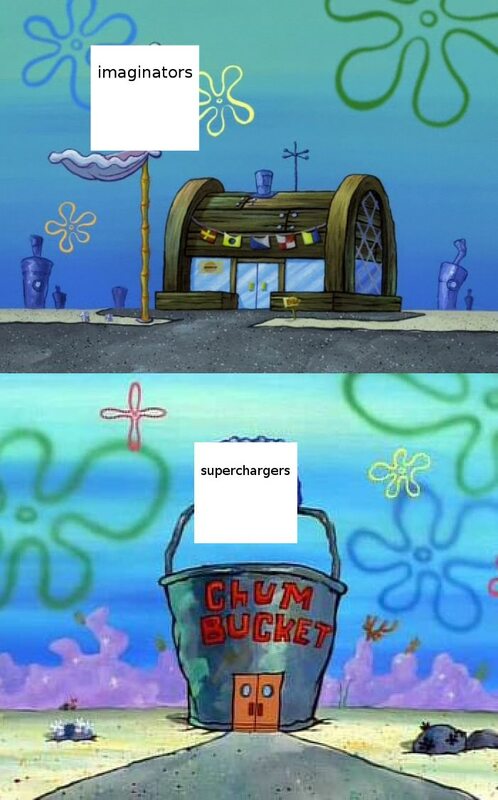 Chum Bucket is KK's food rival and has awful food. Wouldn’t it be better with V.V. and TfB instead of their games, then? Neither SuperChargers nor Imaginators are universally considered to be the worst and best entry respectively (same goes for the devs), and while there is rivalry between their fans I think a developers’ confrontation would work even better. You'd have to make to versions then, one where VV is The Krusty Krab and TfB is Chum Bucket, then vise versa.